Larry Hoelscher has enjoyed travelling to Uganda since 2001, participating in church planting mission trips and overseeing the operation and construction of Lulwanda Children’s Home. Mr. Hoelscher, a founding board member of GICF (since 2001), has served the Foundation as Construction Committee Chairman and President. He currently serves as Chairman of the Board. Mr. Hoelscher has been married to Leslie (Dee Dee) Hoelscher for 30 years. They have two sons, Jamison and Christopher, both Texas A&M Aggies. They reside in Magnolia, Texas and are members of Tomball Bible Church where Larry and Dee Dee are active members of the Missions Committee. Professionally, Mr. Hoelscher’s career spanned 33 years in the gas pipeline industry. He retired in mid-2017, and he looks forward to having more time to focus on ministries in Uganda. John Waggoner has worked in the research, service, and operating sectors of the petroleum industry after receiving his PhD in Petroleum Engineering from the University of Texas at Austin in 1990. He and his wife, Lauren, lived in Albuquerque, NM, the Netherlands, and London before returning home to the Houston area in 2001. They have attended Grace Community Bible Church since 2002. Since then, they have actively participated in GICF fund raisers and various ministries at Grace, where Lauren currently heads up the Women’s Ministry and John chairs the Deacon Board. John and Lauren have two children. Valori is an optometrist in Belton, TX and Michael is a Civil Engineer in Houston, TX. 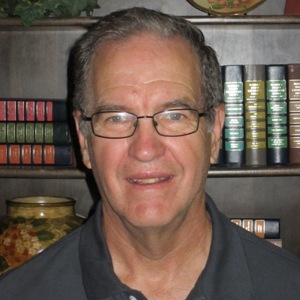 John comes onto the GICF Board to serve the Lord through serving the orphaned children of Uganda. There are significant challenges ahead of them beyond the immediate need for food, health, and shelter. The Lulwanda Children’s Home provides the educational, religious, and character development tools that will help them make good decisions for themselves, their neighbors, and their country, and ultimately to become productive citizens of Uganda. Karla Bogaard is a Preacher’s kid and Air Force Brat who moved every three years of her life until she settled in Houston Texas in 1991. She is a registered nurse and currently works at MD Anderson Cancer Center as a clinical trials auditor. Karla attends Grace Community Bible Church and has volunteered with GICF for several years processing/depositing the donations. Philip A. Norby was born in Van Nuys, California. Mr. Norby was a founding board member of GICF in 2001. He served as GICF’s Treasurer for 11 years. Mr. Norby and his family were on a church planting team in 1999 which visited the village of Bulolelo, where the Lulwanda Children’s Home was eventually built. He and his wife continue to be involved in East Africa church planting, leading or participating on mission teams annually. They are part of Newberg Christian Fellowship in Oregon. Mr. Norby received degrees in geology from California Lutheran University and master’s degree from California State University at Northridge. He has recently retired from the energy industry after spending 35 years in various technical and managerial roles for Unocal and Chevron. He and his wife Denise spent nearly ten years in overseas’ postings, having lived in Thailand, Norway, Indonesia, and Senegal. They currently live in Newberg, Oregon. They have three children, Krista, Jared, and Paul, and three grandchildren. Pastor Morris Ogenga is Bishop of the Presbyterian Bible Church of East Africa, and Senior Pastor of Mbale Presbyterian Church. He is one of the founding members of GICF. Pastor Ogenga is Chairman of the Lulwanda Children’s Home (LCH) Local Management Committee. Pastor Ogenga grew up in Kenya but has long lived in Uganda. He, his wife Aidah and their family live in Mbale, Uganda. Keith is a native of Louisiana and received his BS and MBA from Louisiana Tech University in accounting. He is retired after working in various accounting groups of Shell Oil Company for nearly forty years. Keith and his wife Donna have been married for over forty years and have four grown children and six grandchildren. Keith has served his local churches in various areas including teaching Bible, treasurer and elder. And he has participated in mission trips both locally and globally including both Uganda and Kenya from 2007-2010 as well as Cuba. He became familiar with GICF and Covenant Bible Institute of Theology (CBIT) during the trips to eastern Africa. CBIT is a bible college which trains pastors and church leaders to serve in eastern Africa. Keith also serves on the board and as treasurer of CBIT. Drew Starnes has been blessed to serve the Lord Jesus during short term trips to Uganda since 2016. The highlights of these trips were encouraging the local church, evangelizing the surrounding communities and visiting and getting to know the children and staff at Lulwanda Children’s Home. Drew’s first short term mission was to Mexico when he was 14 years old. He then travelled with YWAM to Haiti on one of the Mercy Ships and turned 15 years old the day his team arrived. His heart for missions led him to serve with Engineering Ministries International (EMI) in Bangladesh after graduating from Texas A&M University with a Civil Engineering degree. Drew now has his Professional Engineering license and has worked as a civil and petroleum engineer in many parts of the United States. He most recently opened his own company providing advanced NDE tools and inspection services to the oil and gas, nuclear, and biotech manufacturing industries. Drew has been married to same wonderful woman since 1998 and he and his wife, Sarah, have ten (10), yes ten, children ranging from 16 months to 18 years old (as of June 2018). He hopes to have Sarah and some of the kids travel with him to Uganda in the coming years. Rob Marshall began volunteering with GICF in 2002 and assumed the role of President in 2004, a position he held until November 2017. During this time, Mr. Marshall made some 15 trips to Lulwanda, and was instrumental in leading the GICF organization through the slow but steady expansion from 13 to currently 120 orphaned children in their care. Mr. Marshall, a native of Canada, is a degreed Professional Engineer who retired after 33 years in the oil industry. His work has taken him to live and work in Canada, Norway, Russia, Egypt, Italy, and the United States. He and his wife Cathy (who also has spent considerable time managing GICF’s Child Sponsorship program as a volunteer) consider it a privilege to serve the Lord to the benefit of the children of Uganda. They have two daughters, Sarah and Rebecca, who have visited Lulwanda several times and share their parents’ love and compassion for the orphans of the world. Keith Alley was born and raised in Odessa Texas. He and his family have been traveling to Uganda and Kenya since 2001, leading and building Mission teams. He and his wife Linda have been married for 35 years and attend Grace Community Bible Church in Richmond Texas. They have 2 children, Lewis and Lauren, and 2 grandchildren, Eve and Jedidiah. Keith has worked in the commercial and residential glass industry from a young age in the family business. Currently he owns and operates his own company, Cornerstone Glass and Mirror in the Houston area. Mike Thrasher began travelling to Lulwanda Children’s Home in 2006 with Cypress Creek Church of Wimberley, Texas. Although involved in meaningful mission opportunities since 1973, the visits to Lulwanda “changed his life forever”; Mr. Thrasher and his wife Mary felt God’s call to focus on the educational needs of the children and teachers of Lulwanda, and each year they lead a team to bring training and supplies to the Primary School. Mr. Thrasher serves on the board of GICF with a focus on education. Mr. Thrasher graduated from Angelo State University with a Bachelors degree in Business and worked for Thrasher Trucking Company in Monahans, Texas (where he was born and raised), for 9 years before relocating to San Marcos, Texas. There, the Thrashers opened The Spring Christian Shoppe, a Christian bookstore. Currently Mr. Thrasher is President of Books are the Beginning, a non-profit focusing on literacy in Uganda, Kenya and the U.S.